In July 2014, I finally decided it was time to follow through on my dream of having my own website. With the world of blogging becoming increasingly popular, I knew that creating a blog was not only a great choice for me personally, but professionally as well. In fact, I landed my dream job all thanks to Chase the Write Dream! Now, even though my site may look put together now, I have to admit that it was a hot mess when I first started. To be honest, I knew absolutely NOTHING about creating a blog or how to get everything set up. 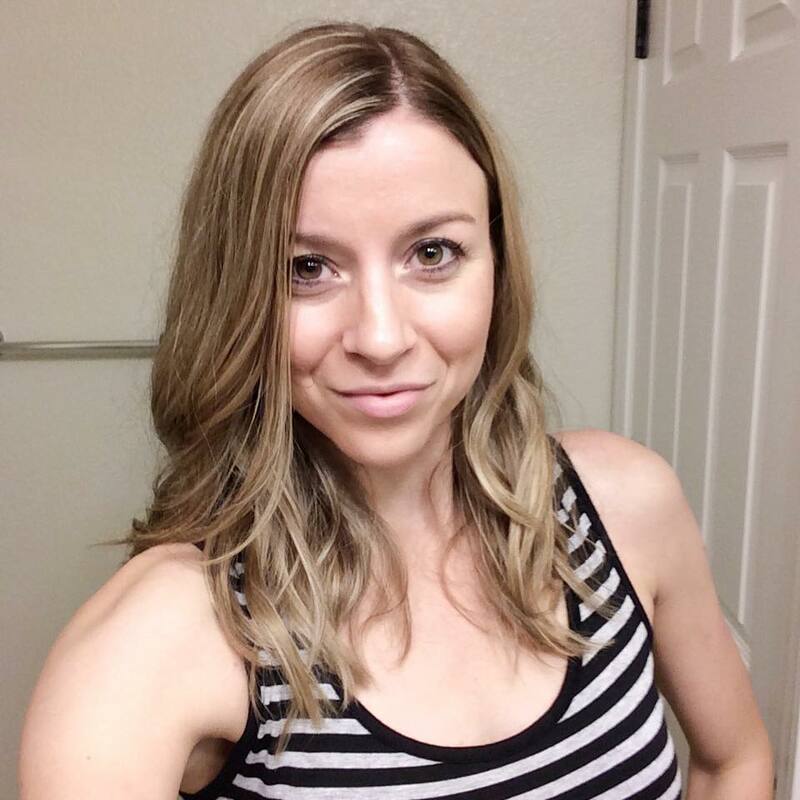 You might be in the same boat as I was, which is why you’re here (or maybe you’re just interested in this whole starting a blog thing, which is super exciting as well)! 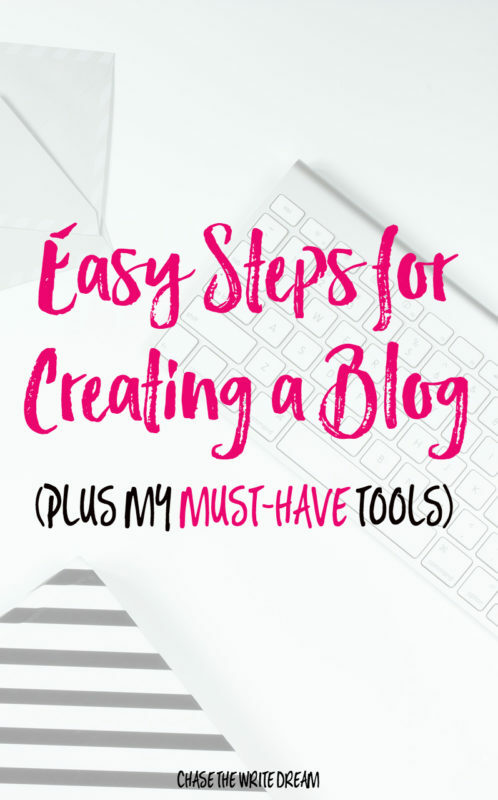 Since I know how intimidating it seems to get a blog started (and attract readers), I wanted to create this post with some easy-to-follow steps so that you don’t have to go through some of the crazy things I did to get up and running. Please note that these instructions are for creating a WordPress.org site and not a WordPress.com site. Disclosure: This post contains affiliate links, which means that I will receive a small percentage of any purchase you make through these links (at absolutely no cost to you). All of these products I have used myself and 100% support and highly recommend. Before you jump in and start creating your blog, you need to decide on a name for your domain and who you are going to run your hosting through. HostGator, the only hosting provider I’ve used since starting my blog over two years ago. HostGator after hearing about their great customer service and easy setup process. Additionally, I didn’t want to fork over a ton of money since I was in grad school at the time and working at a nonprofit, so it’s not like I had a ton of money in the bank to spend anyway. I ended up choosing the Baby plan as I considered the fact that I may want to add different domains in the future, but please feel free to choose the plan that best fits your needs. Note: Try to think about your needs for the next year as you will be asked to renew your domain after 12 months. Unmetered bandwidth – This means that the price of your plan doesn’t depend on the amount of traffic you receive. Please note this does not mean that your bandwidth is unlimited. On that note, I will say that I’ve never had an issue with my site getting shut down or told it is using too much bandwidth, even when I’ve had posts go viral and have received upwards of around 135,000 pageviews in one month (this is important as I know several other bloggers who have had this happen with their hosting providers). Once you’ve decided on your plan and you have your domain in mind, you can select the plan, type in the domain you want to register, pay for your purchase, and set up your account! HostGator did a great job of guiding me through this process – something I appreciated since I was a newbie who just invested money in a dream I had (and it was the best thing I could have ever done). 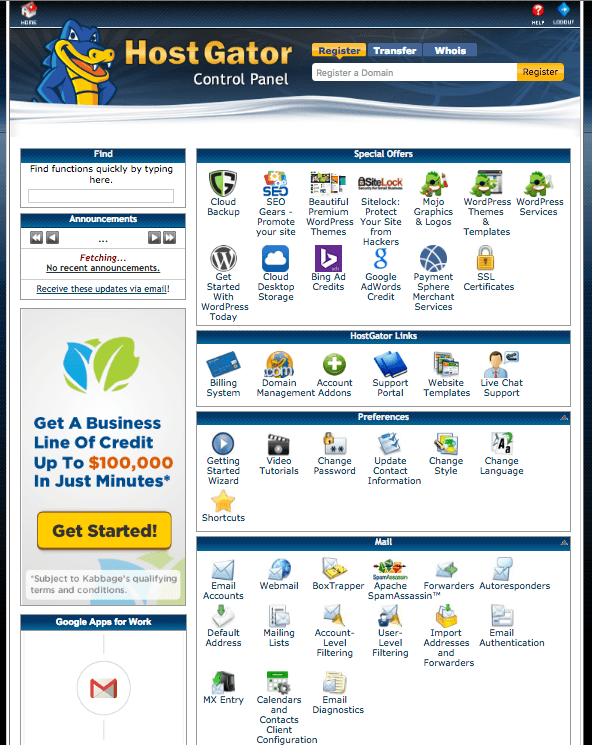 After you complete your purchase, HostGator will give you access to cPanel, which I like to call the control center of your blog. 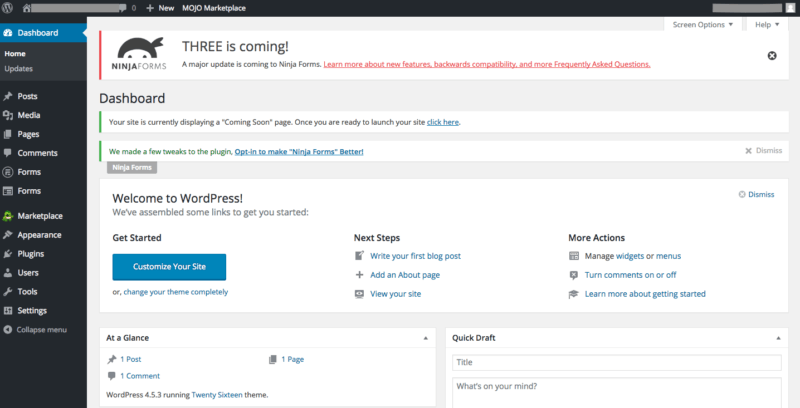 Over time, you can learn how to use some of the various features on this dashboard, but for now you just want to worry about setting up WordPress (because that’s why you’re here, right?). If you look toward the top of your cPanel, you’ll see an option that says “ Get Started With WordPress Today”. Once you click on that, you’ll be taken through a few easy-to-follow steps that will have you fill out a few details about yourself and your site so that you can easily access WordPress in the future. Once everything is completed and you’ve clicked “Install WordPress”, you’ll be ready to log into your WordPress dashboard and start making the magic happen! Once you get to your dashboard, you’ll see a navigation menu on the left side of the screen. This is where you can navigate to add posts, pages, plugins, and more! I could literally spend an entire day walking you through all of those steps, but for now I want to focus on some of the basic things you’ll want to get now that you’re set up with HostGator and logged into WordPress. Unless you know how to code your own websites, then you’ll probably want to invest in a WordPress theme. Although there are plenty of free options available, I’ve found that purchasing a premium theme is well worth the price and allows you to spend more time creating content rather than worrying about the aesthetic feel of your space on the web. Again, we are focusing on creating a blog in the easiest way possible, and in my opinion, buying a theme is the best way to do that! I’ve had a few different themes along the way, including one from Pretty Darn Cute Design that I had for over a year and was happy with! StudioPress is also a great place to look for affordable and high-quality themes. You can find hundreds of themes on sites like Etsy, Creative Market, and more, so take some time to find one that fits your style and what you think your target audience will be attracted to the most. In my opinion, simpler is often better, so don’t go for one that has a ton of clutter at first! To upload a theme, all you need to do is go to Appearance → Themes → Upload Theme File (which is the .zip file you receive via digital download once you purchase one). From there, WordPress takes on the task of uploading all the design elements of the theme for you – super simple and very fast! Once installation is completed, you can customize your theme by going to Appearance → Customize and playing with fonts, colors, etc. Social Warfare – This is the one plugin I have paid for, but my traffic has greatly improved thanks to it. In fact, I even had a link go viral on Facebook thanks to this plugin! For only $29 a year, you can have floating social share buttons on all of your posts, optimized for both mobile and desktop, AND the option to have a pin it button on your images (which is SO important for gaining traffic via Pinterest). Yoast SEO – SEO stands for “search engine optimization” and is something you will hear A LOT about as a blogger. This plugin is a great way to make sure your post has the right mix of keywords, links, images, and a good readability. Creating a blog requires more than just tech setup – It also requires writing quality content so that you can share it with your target audience and start getting traffic! I would recommend getting a solid five posts up on your blog and then a few pages, such as an About Me page, a Contact Me page, and maybe another that covers a topic you’re heavily interested in writing about (don’t worry, you can always change these later on, delete them, update them, or do whatever you please with them). Although this post covers the basics of creating a blog, there are plenty of other things you’ll want to learn as time goes on (where to find royalty-free and copyright free photos to use, how to amplify your content on social media, how to build traffic, etc.). My advice to you is never stop learning and don’t be afraid to ask questions! There are tons of great Facebook groups for bloggers that are perfect for this. Did you create a blog? Please share your URL in the comments below so I can check it out! This is such a great post, Tori! It would have been so helpful when I first created my own blog! I am definitely going to have to check that Social Warfare plugin out, as I’ve never heard of it before. Thanks so much, Amelie! I literally just learned about it earlier this month and had a post go viral on Facebook for the first time ever. They can be easily customized and are great for mobile as well – which is one of the main reasons I love them. Let me know what you think! Such a great article 🙂 I love reading these how-to’s. It’s almost like I’m learning all of your secrets to success 😉 I love how Chase the Write Dream has evolved…way to go Tori! I’m still not totally happy with my blog, but I’m working on it and making it better everyday! Great post, thank you!